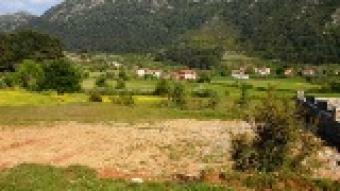 1x500sqm plot of land in the valley of Kizilbel ,just 10 mins from Uzumlu .Has mevzi imar ( so can be sold to foreigners ). Has plans passed for 100sqm 2 bed bungalow, ready to go ! �29, 500 .